How do? 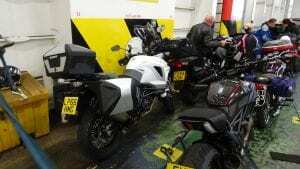 The BMW GS range has defined the ever growing ‘Adventure Bike’ market over the years, but more and more manufacturers are now investing heavily in it, and are offering something decent of their own. I had to go and see some of our top dealers in Ireland so rather than go the boring route by car, I gave my mate Rootsy (And FB’s old editor) a call at KTM to see what bikes they had spare. 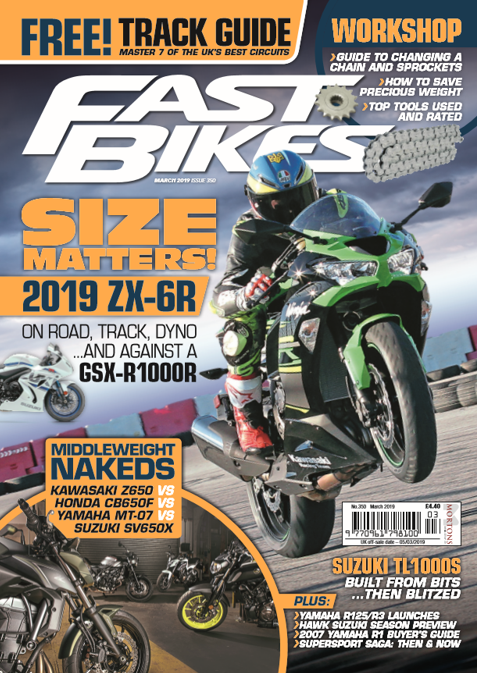 The answer was a spanking new 1290 Super Adventure T. Being a massive GS fan myself, and with my own personal bike being a GS (which sits in the garage alongside my original Aprilia RSV Mille), I was looking forward to finding out how the KTM 1290 SAT would stack up. With very few miles under my belt and no real feel yet developed for the bike, I was straight into queuing traffic and some filtering. The big KTM felt very well balanced whilst weaving between the cars and manoeuvring from lane to lane. It was a doddle to speed up, slow down, change lanes and get to the front. The thing I notice when doing this on my own GS is the slight pull to the side when accelerating the boxer engine, as is that engine’s wont. It’s nothing major and doesn’t pull you off line, but it’s there and it’s noticeable, especially when you ride something of a different configuration, like this flashy white SAT. 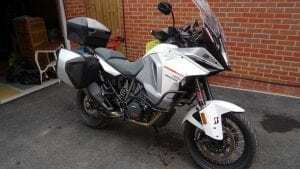 Once through the traffic and off the A43 I stopped and set the sat-nav to avoid motorways (and tolls), and made my way home ready to fill the panniers with everything I needed for the week ahead. The roads were pretty clear and gave me the opportunity to make haste. 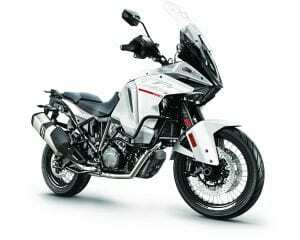 160bhp in an adventure bike – surely a recipe for disaster, right? Wrong! The big V-twin and the chassis (with semi-active components) worked together like apple pie and custard from the off; to the point where I actually forgot I was on an adventure bike! It handles and goes with far more composure and verve than you would expect. I’ve got to say, I was gobsmacked at how good it felt – and I love my sportsbikes. It’s one of those bikes where the more you ride it, the better it becomes, which I shall elaborate more on in my next blog. Next Time: Gaz and the KTM hits the Emerald Isle! Next Post:Watch – 2017 Honda Fireblade SP Vs 2017 Yamaha R1M!